Urban jacket for ladies. Ensure the water resistance, thermal insulation and safety while maintaining the highest elegance: this is the mission of Combat Lady. 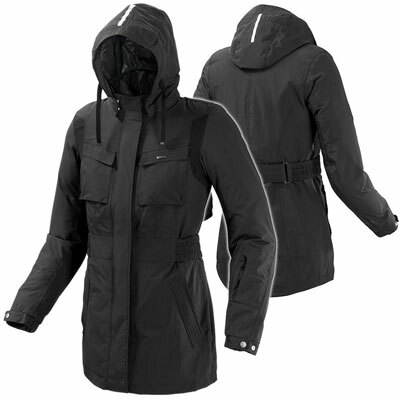 Waterproof, windproof, breathable outer fabric with taped H2out membrane. Mesh lining for perfect transpiration. Removable quilted lining with high collar. Removable rain hood. Smartphone pocket on the arm. 2 waterproof pockets on the sides 2 pockets on the chest. Double slider zip closure. Drawstring at the bottom. CE Multiforce protectors on shoulders elbows and forearms. Ability to insert back protector CE Z64.